Very little is known about how black holes at the centres of galaxies grow to become “super” massive. 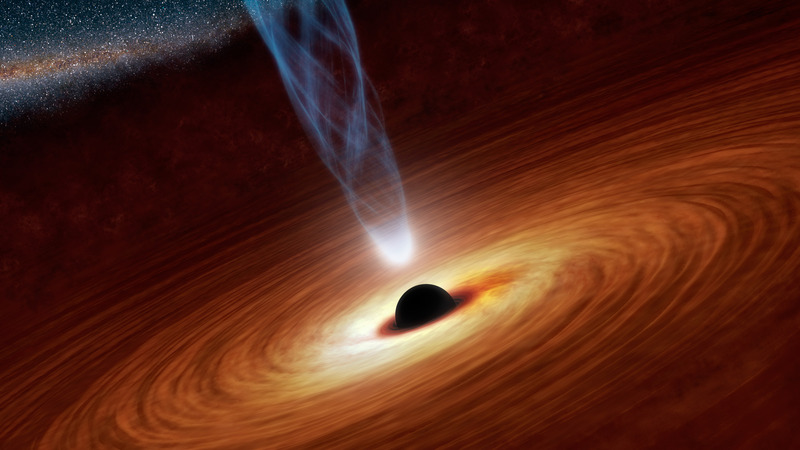 Sensitive X-ray observations have enabled studies of the closest regions to growing supermassive black holes (aka Active Galactic Nuclei – AGN), and have revealed the majority are obscured by gas. Unfortunately though, the most obscured AGN are typically too faint to be detected in wide-field X-ray surveys. This has led to estimates of the fraction of heavily obscured AGN relative to the total population varying drastically between ~20-70%, yet a determination of this fraction is essential to understand the evolution and demographics of all supermassive black holes. The NuSTAR Local AGN N(H) Distribution Survey (NuLANDS) is one of the largest legacy surveys of AGN currently underway with the X-ray space telescopes NuSTAR, XMM-Newton and the Neil Gehrels Swift Observatory (> 4 million seconds of total exposure) aimed at resolving this issue. Via multiwavelength techniques, NuLANDS is targetting AGN representatively of the underlying population, and has thus already led to the discovery and classification of multiple heavily obscured AGN previously hidden at X-ray wavelengths. The initial results from the survey indicate that > 30% of all AGN in the local Universe are heavily obscured, and that high-energy X-ray selection alone preferentially selects less-obscured AGN. As such, NuLANDS marks a major step in completing the local census of supermassive black hole growth, and will pave the way in quantifying how many AGN, on average, are heavily obscured in the local Universe.